1/35 German Sd. 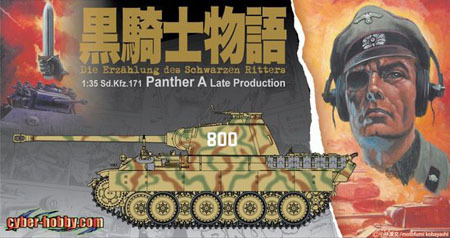 Kfz.171 Panther A Tank Model Discounts Apply ! "Die Erzahlungdes Schwarzen Ritters" is a widely acclaimed comic book series and considered the best work of renowned comic artist Motofumi Kobayashi. The story is set in the Eastern Front in the Fall of 1943 and portrays the main character Oblt.Ernst von Bauer and his force Wehrmacht 8th Tank Company which is called "Black Knight".